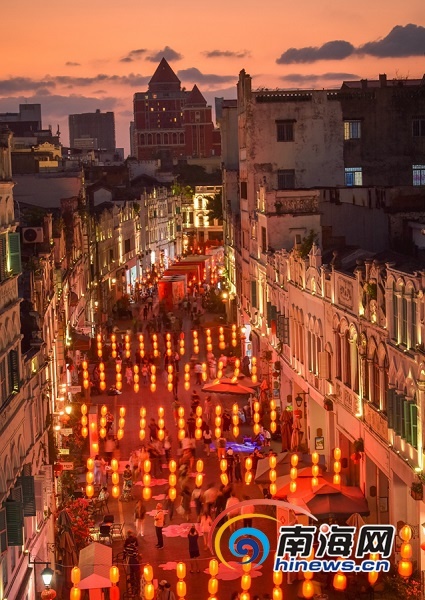 The New Year shopping market on Qilou Old Street in Haikou drew large crowds of people during the Spring Festival with its special New Year decorations. Locals and tourists alike flocked to the street to enjoy themselves while buying food and gifts for the Spring Festival, which falls on Feb 5 this year. 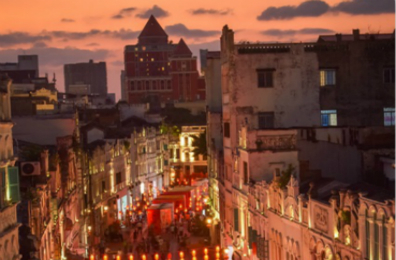 Located next door to Mission Hills in Longhua district, Haikou, Movie Town's streets mimic the appearance of old movie sets. Established in 2011, the tourism spot integrates tourism, business and filmmaking. The town covers an area of 930,000 square meters and consists of 1942 Street, Socialism Street, South China Sea Street, and more. Its buildings imitate the style of the Republic of China era. It also includes theaters, restaurants, shops, and special performances. 1942 Street features settings from movie "Back To 1942", with period-architecture from the streets of Chongqing as the backdrop. It houses 91 buildings with different architectural styles from the period, creating a rich and authentic atmosphere. 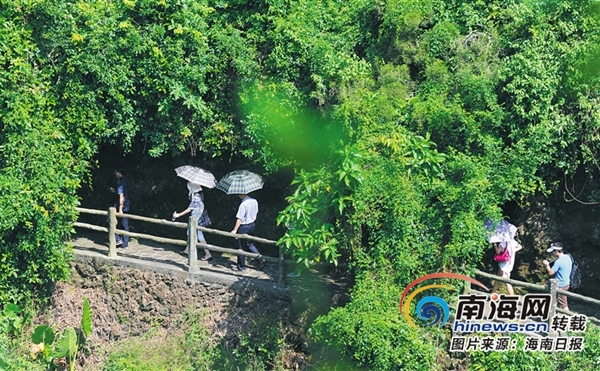 The China Leiqiong Haikou Volcanic Cluster Global Geopark, Tongguling (Copper Drum Mountain) in Wenchang, along with some other eco-themed parks in Sanya, are all fine choices for the elderly to enjoy the views of the nature and breathe fresh air. Besides crowded scenic spots, the elderly can also have fun by visiting the countryside and enjoying the folk culture, eating Double-Ninth cakes and washing themselves with mugwort leaf water. People can take their parents to various Hainan villages, each with their own unique features. The Sanya Nanshan Cultural Zone is also highly recommended. 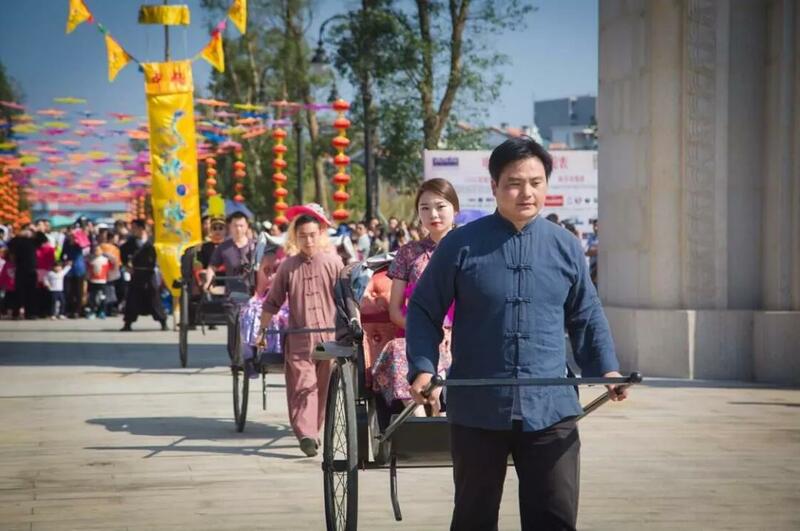 Some ancient tourist attractions like Danzhou Dongpo Academy provide a good environment for people to have fun, and performances of the Red Detachment of Women in Sanya help to bring back memories of red culture. They all offer old people a good mood, which is the most significant element for them to travel around.